Today is the birthday (1903) of Arthur Evelyn St. John Waugh, English author of novels, biographies and travel books. He was very popular in the post-war years, but then fell into relative obscurity after his death in 1965 until the BBC serialized Brideshead Revisited in 1981 when he became momentarily lionized by a solid coterie of fans in love with the imagined world of pre-war aristocratic England. My father was an avid reader of his short stories and novels, as was I. I was introduced to Decline and Fall in my first years back in England as a grammar school boy in the mid-1960s when Waugh was still alive (barely). Its description of the life of a failed Oxford student teaching at an indifferent public school in Wales (semi-autobiographical) did not resonate at all with me, but I caught the humor well enough. In my 20s I read many more of his short stories and novels which I found devastatingly insightful into the human condition, although his patronizing tone concerning the people under colonial rule was not easy to take. The enduring puzzle I may have solved a little (to my own satisfaction) is that by all accounts he was a snobbish, arrogant, selfish prick whom no one could stand. How does that gibe with the sensitivity of his writing? I’ll circle back to that later. Meanwhile here’s a story his son Auberon told in his autobiography, Will This Do? (1991), which makes my point about his character and will serve as inspiration for my recipe today. A brief look at his days before he became a successful author I believe sums up the emotional problems he bore all of his life which he exposed in person as an irascible malcontent. Waugh received his first school lessons at home, from his mother, with whom he formed a particularly close relationship; his father, Arthur Waugh, was a more distant figure, whose close bond with his elder son, Alec, was such that Evelyn often felt excluded. In September 1910, he began as a day pupil at Heath Mount preparatory school. By then, he was a lively boy of many interests, who already had written and completed “The Curse of the Horse Race”, his first story. Waugh spent six relatively contented years at Heath Mount; on his own assertion he was “quite a clever little boy”, who was seldom distressed or overawed by his lessons. He was also inclined to bully weaker boys; among his victims was the future society photographer Cecil Beaton, who never forgot the experience. During his last year at Heath Mount, Waugh established and edited The Cynic school magazine. 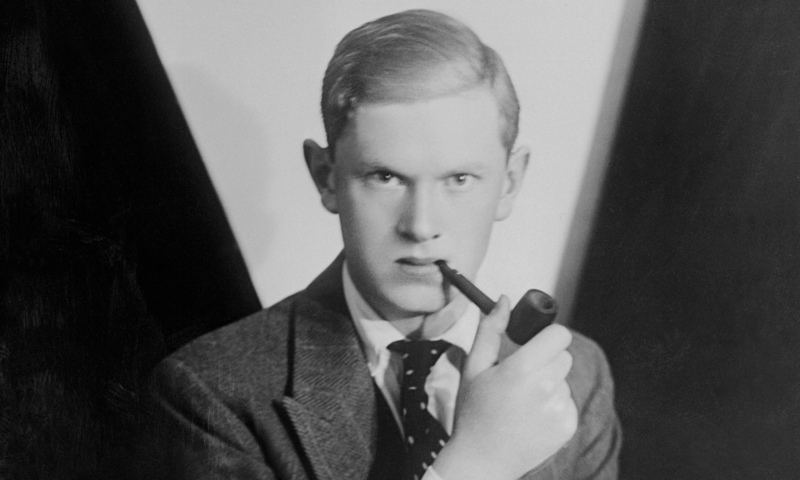 Like his father before him, Alec Waugh went to school at Sherborne, and, it was presumed by the family that Evelyn would follow, but in 1915, the school asked Alec to leave, after a homosexual relationship came to light. Alec departed Sherborne for military training as an officer, and, while awaiting confirmation of his commission, wrote The Loom of Youth (1917), a novel of school life, which alluded to homosexual friendships at a school that was recognizably Sherborne. The public sensation caused by Alec’s novel so offended the school that it became impossible for Evelyn to go there. In May 1917, much to his annoyance, he was sent to Lancing College, in his opinion, a decidedly inferior school. Waugh soon overcame his initial aversion to Lancing, settled in and established his reputation as an aesthete. In November 1917 his essay “In Defence of Cubism” (1917) was accepted by and published in the arts magazine Drawing and Design; it was his first published article. Within the school, he became mildly subversive, mocking the school’s cadet corps and founding the Corpse Club “for those who were weary of life.” The end of the war saw the return to the school of younger masters such as J. F. Roxburgh, who encouraged Waugh to write and predicted a great future for him. Another mentor, Francis Crease, taught Waugh the arts of calligraphy and decorative design and some of his work was good enough to be used by Chapman and Hall on book jackets. In his later years at Lancing, Waugh achieved success as a house captain, editor of the school magazine and president of the debating society, and won numerous art and literature prizes. He started a novel about school life, untitled, but abandoned the effort after writing about around 5,000 words. He ended his schooldays by winning a scholarship to read Modern History at Hertford College at Oxford, and left Lancing in December 1921. Waugh arrived in Oxford in January 1922. He was soon writing to old friends at Lancing about the pleasures of his new life; he informed Tom Driberg: “I do no work here and never go to Chapel.” During his first two terms, he generally followed convention; he smoked a pipe, bought a bicycle, and gave his maiden speech at the Oxford Union, opposing the motion that “This House would welcome Prohibition.” He wrote reports on Union debates for both Oxford magazines, Cherwell and Isis, and he acted as a film critic for Isis. Although Waugh tended to regard his scholarship as a reward for past efforts rather than a stepping-stone to future academic success, he did sufficient work in his first two terms to pass his “History Previous” the equivalent of modern prelims which you take in your first year and which you’re required to pass to stay at the university. The arrival in Oxford in October 1922 of Harold Acton and Brian Howard, rich and sophisticated old Etonians, completely changed Waugh’s Oxford life. 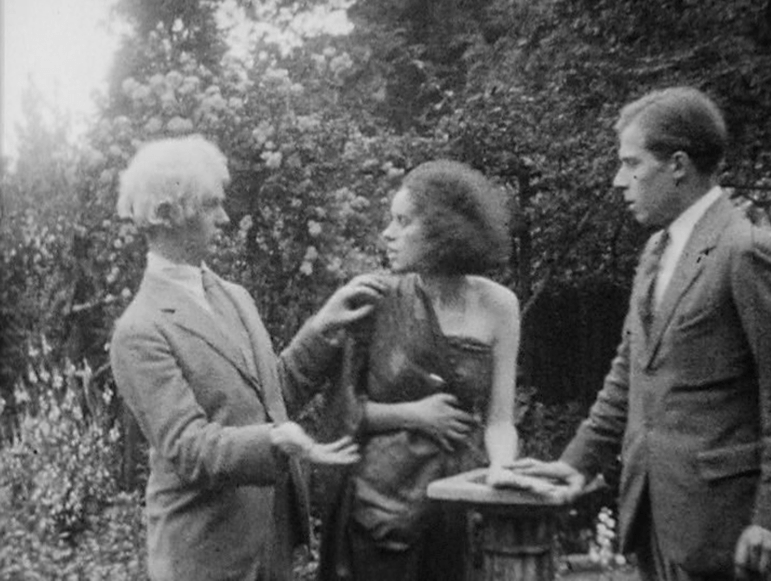 Acton and Howard rapidly became the center of an avant-garde clique known as the Hypocrites, whose artistic, social and homosexual values Waugh adopted enthusiastically. He began drinking heavily, and embarked on the first of several homosexual relationships, the most lasting of which were with Richard Pares and Alastair Graham. He continued to write reviews and short stories for the university journals, but largely ceased his formal studies. 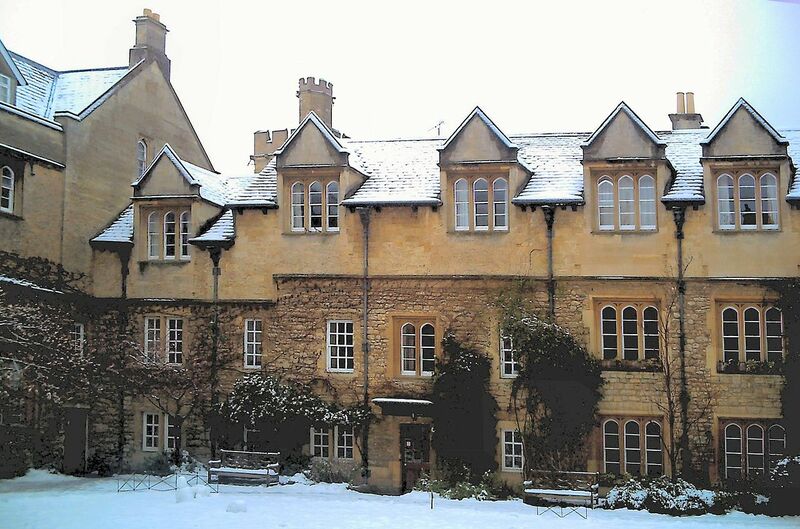 This neglect led to a bitter feud between Waugh and his history tutor, C. R. M. F. Cruttwell, dean (and later principal) of Hertford College. 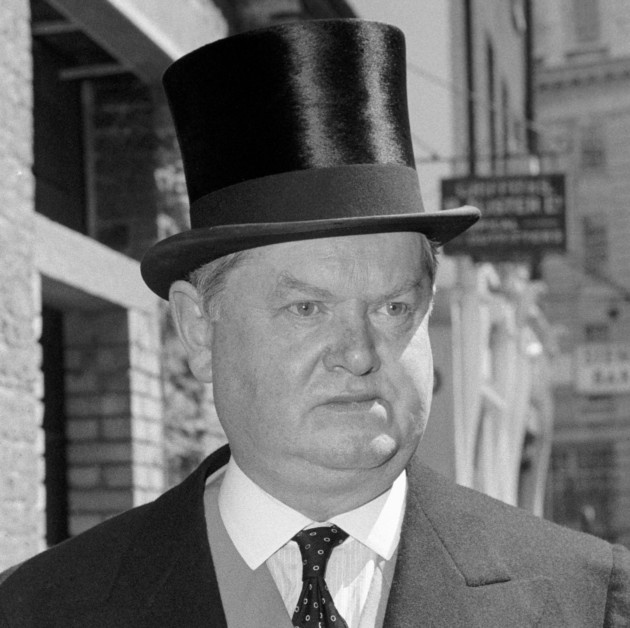 Waugh continued the feud long after his Oxford days by using Cruttwell’s name in his early novels for a succession of ludicrous, ignominious or odious minor characters. Waugh’s dissipated lifestyle continued into his final Oxford year, 1924. He did just enough work to pass his final examinations in the summer of 1924 with third class honours, which required pretty much the bare minimum of effort. However, as he had begun at Hertford in the second term of the 1921–22 academic year, Waugh had completed only eight terms’ residence when he sat his finals, rather than the nine required under the university’s statutes. His poor results led to the loss of his scholarship, which made it impossible for him to return to Oxford for that final term, so he left without his degree. Back at home, Waugh began a novel, The Temple at Thatch, and worked with some of his fellow Hypocrites on a film, The Scarlet Woman, which was shot partly in the gardens at Underhill. He spent much of the rest of the summer in the company of Alastair Graham. After Graham departed for Kenya, Waugh enrolled for the autumn at a London art school, Heatherley’s. Waugh began at Heatherley’s in late September 1924, but became bored with the routine and quickly abandoned his course. He spent weeks partying in London and Oxford before the overriding need for money led him to apply through an agency for a teaching job. Almost at once, he secured a post at Arnold House, a boys’ preparatory school in North Wales, beginning in January 1925. 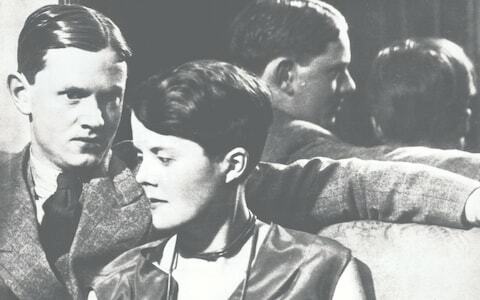 Despite the gloomy ambience of the school, Waugh did his best to fulfill the requirements of his position, but a brief return to London and Oxford during the Easter holiday only exacerbated his sense of isolation. In the summer of 1925, Waugh’s outlook briefly improved, with the prospect of a job in Pisa in Italy, as secretary to the Scottish writer Charles Kenneth Scott Moncrieff, who was engaged on the English translations of Marcel Proust’s works. Believing that the job was his, Waugh resigned his position at Arnold House. He had meantime sent the early chapters of his novel to Acton for assessment and criticism. 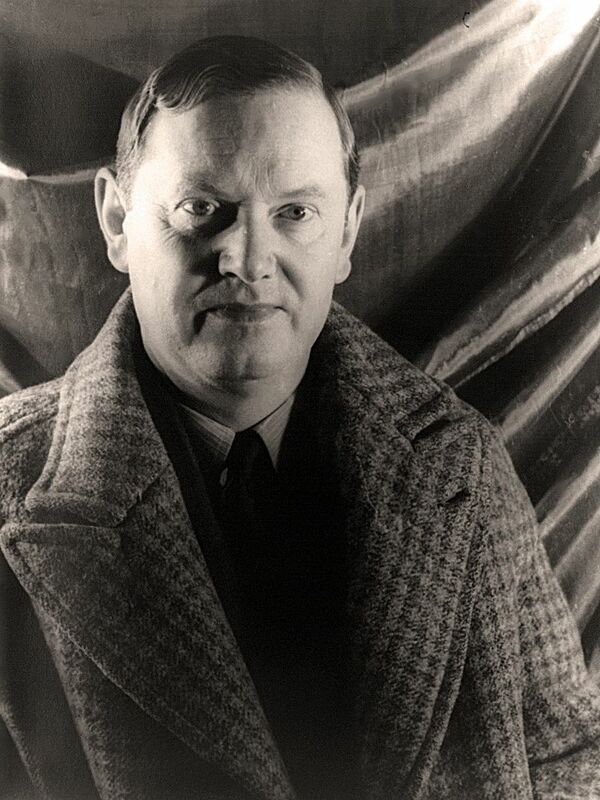 Acton’s reply was so coolly dismissive that Waugh immediately burnt his manuscript; shortly afterwards, before he left North Wales, he learned that the Moncrieff job had fallen through. The twin blows were sufficient for him to consider suicide. He records that he went down to a nearby beach and, leaving a note with his clothes, walked out to sea. An attack by jellyfish changed his mind, and he returned quickly to the shore. In the aftermath of the divorce Waugh converted to Catholicism and became a staunch supporter of the church. He had accepted, however, that as a Catholic he would be unable to remarry while Evelyn Gardner was alive. However, he wanted a wife and children, and in October 1933, he began proceedings for the annulment of the marriage on the grounds of “lack of real consent”. The case was heard by an ecclesiastical tribunal in London, but a delay in the submission of the papers to Rome meant that the annulment was not granted until 4 July 1936. In the meantime, following their initial encounter in Portofino, Waugh had fallen in love with Laura Herbert. He proposed marriage, by letter, in spring 1936. There were initial misgivings from the Herberts, an aristocratic Catholic family; as a further complication, Laura Herbert was a cousin of Evelyn Gardner. Despite some family hostility the marriage took place on 17 April 1937 at the Church of the Assumption in Warwick Street, London. 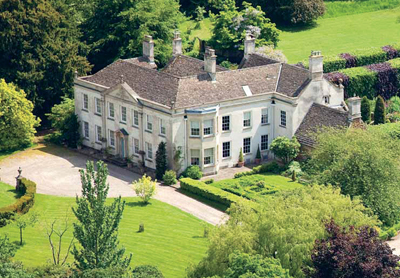 As a wedding present the bride’s grandmother bought the couple Piers Court, a country house near Stinchcombe in Gloucestershire. They had seven children, one of whom died in infancy. Their first child, a daughter, Maria Teresa, was born on 9 March 1938 and a son, Auberon Alexander, on 17 November 1939. Between these events, Scoop was published in May 1938 to wide critical acclaim. In August 1938 Waugh, with Laura, made a three-month trip to Mexico after which he wrote Robbery Under Law, based on his experiences there. In the book he spelled out clearly his conservative credo; he later described the book as dealing “little with travel and much with political questions”. Waugh’s arch conservatism in all walks of life were well known. For example, he objected to using a telephone except in emergencies because it undercut letter writing, he vehemently and vocally opposed the post-war welfare state, and was severely critical of the Catholic church’s move away from Latin to the vernacular for mass. In November 1940, Waugh was posted to a commando unit, and, after further training, became a member of “Layforce”, under Colonel (later Brigadier) Robert Laycock. In February 1941, the unit sailed to the Mediterranean, where it participated in an unsuccessful attempt to recapture Bardia, on the Libyan coast. 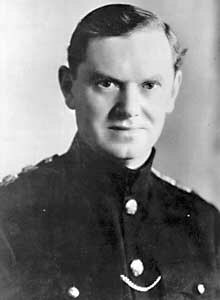 In May, Layforce was required to assist in the evacuation of Crete: Waugh was shocked by the disorder and its loss of discipline and, as he saw it, the cowardice of the departing troops. In July, during the roundabout journey home by troop ship, he wrote Put Out More Flags (1942), a novel of the war’s early months in which he returned to the literary style he had used in the 1930s. Back in Britain, more training and waiting followed until, in May 1942, he was transferred to the Royal Horse Guards, on Laycock’s recommendation. Waugh’s elation at his transfer soon descended into disillusion as he failed to find opportunities for active service. The death of his father, on 26 June 1943, and the need to deal with family affairs prevented him from departing with his brigade for North Africa as part of Operation Husky (9 July–17 August 1943), the Allied invasion of Sicily. Waugh’s unmilitary and insubordinate character effectively made him unemployable as a soldier. After spells of idleness at the regimental depot in Windsor, Waugh began parachute training at Tatton Park, Cheshire, but landed awkwardly during an exercise and fractured a fibula. Recovering at Windsor, he applied for three months’ unpaid leave to write the novel that had been forming in his mind. His request was granted, and, on 31 January 1944, he departed for Chagford, Devon, where he could work in seclusion. The result was Brideshead Revisited: The Sacred & Profane Memories of Captain Charles Ryder (1945), the first of his explicitly Catholic novels. I could continue with this biography but you have enough here for me to make my point. It’s not difficult to peer beneath the veil and get the measure of the man. From early childhood to his years of literary success, Waugh was dogged with what he could easily perceive as failures as he endlessly sought to climb the social ladder in an England where class struggles ruled at all levels. He was the unfavored second son of a cold father, a school bully, an Oxford layabout who failed to get a degree, a failure at suicide, failure as a husband, failure as an army officer . . . and on and on. You can balance this list with an equally long list of successes of course, but I am acutely aware from personal experience how difficult – if not impossible – it is to make the lists balance emotionally even if they look balanced to an outsider. Failure to please your father, for example, can never be balanced by success in publishing. The first is always going to outweigh the second (unless you do something about it – very consciously). Waugh’s defense against his constant and crushing sense of failure was, I believe, to hide behind a mask of bullying petulance. Some of his closest friends described his generosity and affability with them, but they were few and far between. Most people he met despised him because he displayed a quick temper and an acid tongue more often than not. I suspect that this defense mechanism was a skillful act at first, which got him left alone, but over time there was less and less need for him to act out consciously: the habit had taken over his soul. He also used his writing as a form of personal catharsis. His novels are not in any sense autobiographical in terms of their plots, but the local color is clearly there, and so is a subtle kind of wish fulfilment. In Decline and Fall, for example, his protagonist gets slung out of Oxford without a degree through no fault of his own, lands up as a teacher in a wretched public school in Wales, but then after a series of adventures lands back at Oxford under an assumed identity and picks up where he left off to live happily ever after. Waugh must have wondered in idle moments what his life would have been like if he could have finished his degree in his youth and begun life anew as a different person. Let’s return to the story I began with: bananas and cream. As a very small boy my mother often made me the treat of a sliced banana mashed up in the cream from the top of the milk (back in the days when the milk was delivered to your doorstep by the milkman every morning in foil capped bottles in which there was always a portion of cream at the top). There’s your hint if you need one. Of course one can get fancier if you choose. 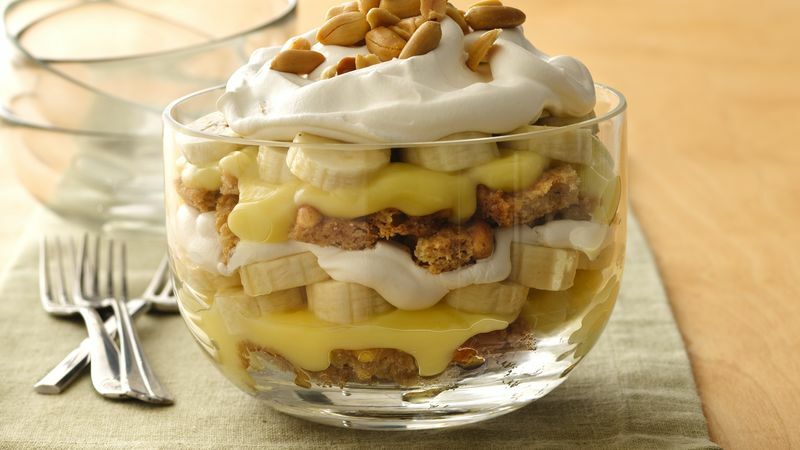 Layers of sliced bananas and custard topped with whipped cream works well, especially if you add a few nuts into the bargain. Just try not to imagine that you are gleefully depriving others of a treat as you scoff it down. 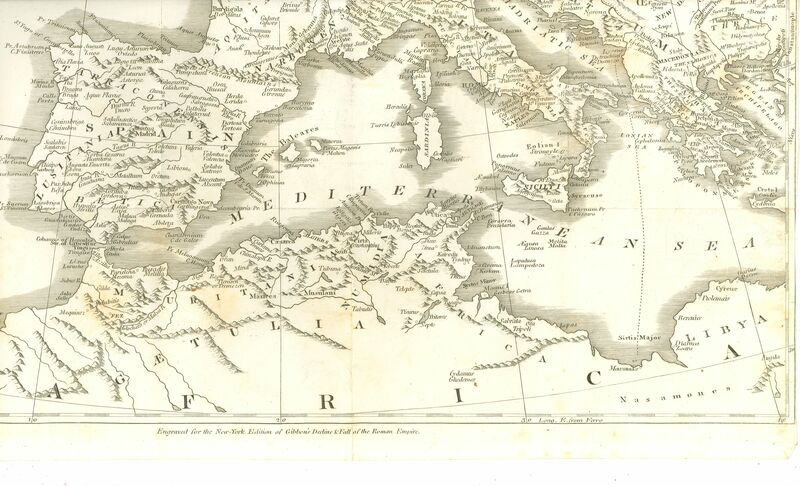 According to Gibbon, the Roman Empire succumbed to barbarian invasions in large part due to the gradual loss of civic virtue among its citizens. They had become weak, outsourcing their duty to defend their empire to barbarian mercenaries, who then became so numerous and ingrained that they were able to take over the Empire. Romans, he believed, were unwilling to live a tougher, military lifestyle. Furthermore, Gibbon argued that Christianity created a belief that a better life existed after death, which fostered an indifference to the present among Roman citizens, thus sapping their desire to sacrifice for a larger purpose. He also believed that Christianity’s comparative pacifism tended to hamper the traditional Roman martial spirit. 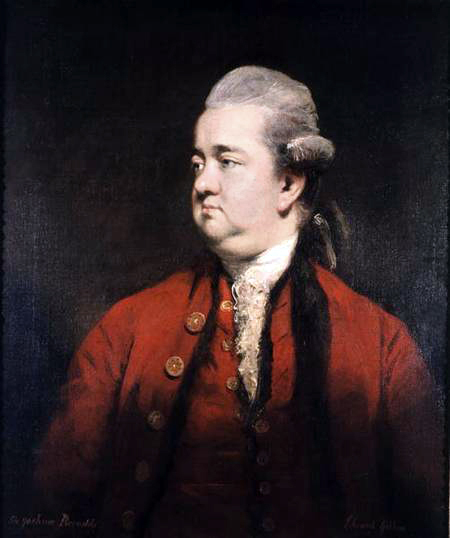 Finally, like other Enlightenment thinkers and British citizens of the age steeped in institutional anti-Catholicism, Gibbon held in contempt the Middle Ages as a priest-ridden, superstitious Dark Age. It was not until his own era, the “Age of Reason,” with its emphasis on rational thought, he believed, that human history could resume its progress. He compared the reigns of Diocletian (284–305) and Charles V (1519–1556), noting some similarities. Both, for example, were plagued by continual war and compelled to excessive taxation to fund wars. We might do well to compare these two reigns with the US of our own times. History is, indeed, little more than the register of the crimes, follies, and misfortune of mankind. If we contrast the rapid progress of this mischievous discovery [of gunpowder] with the slow and laborious advances of reason, science, and the arts of peace, a philosopher, according to his temper, will laugh or weep at the folly of mankind. I know no way of judging of the future but by the past. The history of empires is the history of human misery. THE CORN, or even the rice, which constitutes the ordinary and wholesome food of a civilized people, can be obtained only by the patient toil of the husbandman. Some of the happy savages, who dwell between the tropics, are plentifully nourished by the liberality of nature; but in the climates of the north, a nation of shepherds is reduced to their flocks and herds. The skilful practitioners of the medical art will determine (if they are able to determine) how far the temper of the human mind may be affected by the use of animal, or of vegetable, food; and whether the common association of carnivorous and cruel deserves to be considered in any other light, than that of an innocent, perhaps a salutary, prejudice of humanity. Yet if it be true that the sentiment of compassion is imperceptibly weakened by the sight and practice of domestic cruelty, we may observe that the horrid objects which are disguised by the arts of European refinement are exhibited in their naked and most disgusting simplicity in the tent of a Tartarian shepherd. The ox, or the sheep, are slaughtered by the same hand from which they were accustomed to receive their daily food; and the bleeding limbs are served, with very little preparation, on the table of their unfeeling murderer. Anthropologists and archeologists (including myself) have long argued that the people who herd (and slaughter) animals are the ones to fear, over the long run, more than the farmers. I don’t believe it’s so much a matter of diet as of lifestyle. Herders are mobile whereas farmers are sedentary. Farmers, therefore, are more prone to armies of defense, whereas herders can be actively aggressive. Who are the warrior heroes of the Hebrew Bible? Abraham, David etc. – all herders. Of course, this is grossly simplistic, and things change over time, especially with the rise of empires. But it does give me a segue into a recipe for the day. I’ll resort to Hannah Glasse for an 18th century recipe, and I’ll choose a rice dish to favor Gibbon’s notion of a peaceable diet. 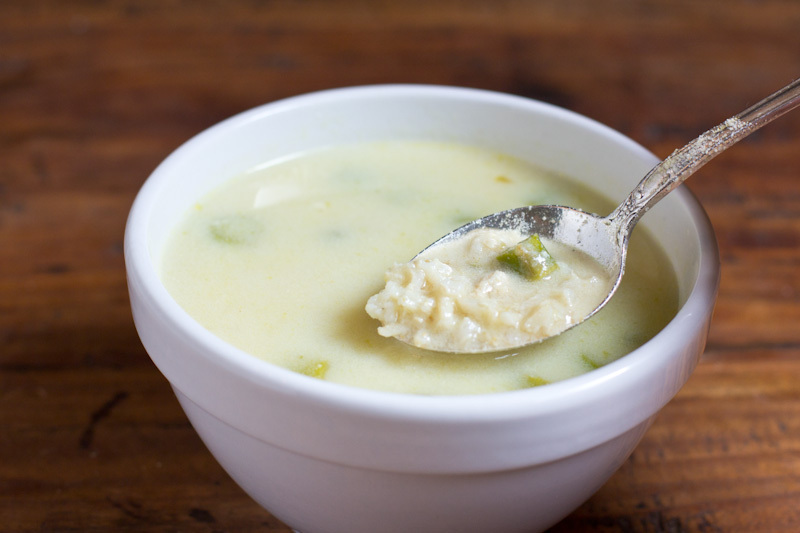 I used to be very fond of rice in broth (my daily starter on board an Italian ship going from Australia to England), but Glasse’s rice soup is closer to rice pudding than to soup. (Be careful of the long “s” – which ignorant people mistake for “f”). To make a rice ſoup. TAKE two quarts of water, a pound of rice, a little cinnamon; cover it cloſe, and let it ſimmer very ſoftly till the rice is quite tender: take out the cinnamon, then ſweeten it to your palate, grate half a nutmeg, and let it ſtand till it is cold; then beat up the yolks of three eggs, with half a pint of white wine, mix them very well, then ſtir them into the rice, ſet them on a ſlow fire, and keep ſtirring all the time for fear of curdling. When it is of a good thickneſs, and boils, take it up. Keep ſtirring it till you put it into your diſh. If you’re more in the mood for conquering Rome, have a steak.